Fits larger / taller / bigger miniatures, as they are come from 28 mm tabletop game systems. 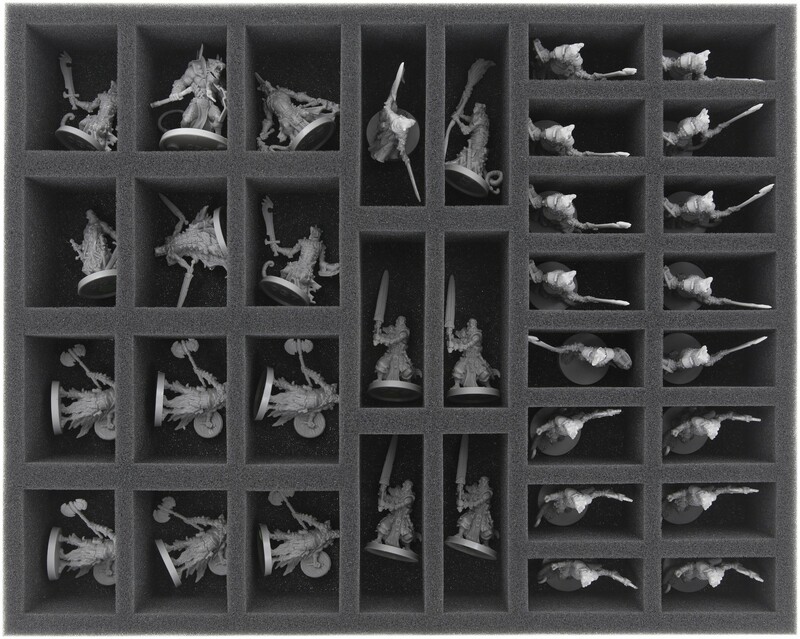 This foam tray for Massive Darkness is specially produced for your monsters und heroes. 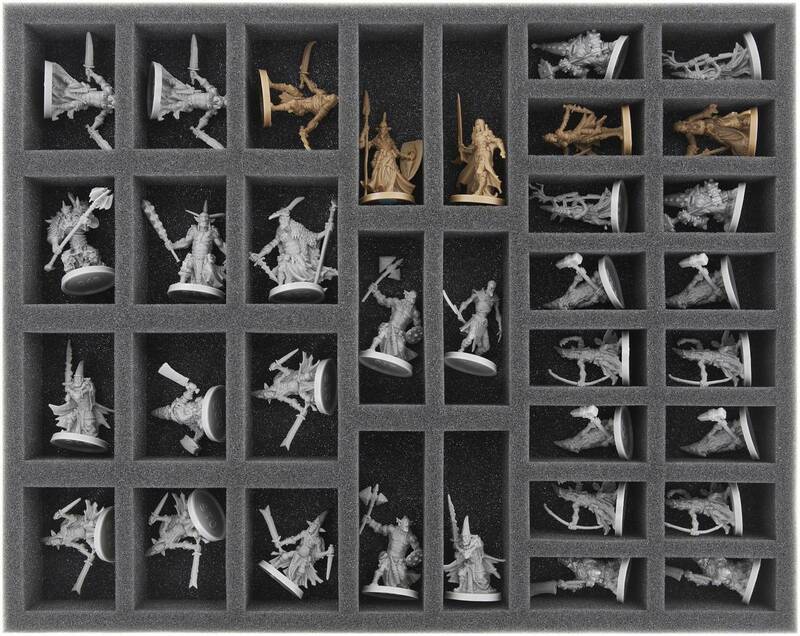 34 compartments offer space for the miniatures of the Stretch Goals and Optional Buys. So you can transport and protect your extra miniatures.